“All the vice president is, you’re stand-by equipment.” Biden recalled. Obama gave him 48 hours to think it over and talk with his family in Delaware. Biden polled each relative. “I shouldn’t have asked,” he said, recalling that his mother had made a persuasive argument that Biden’s personal and professional lives had put him in a unique position to help Obama win battleground states like Ohio, Pennsylvania and Florida and become the first African-American president in U.S. history. Convinced, Biden accepted the offer. “It turned out to be the best decision my family ever made for me,” he said. 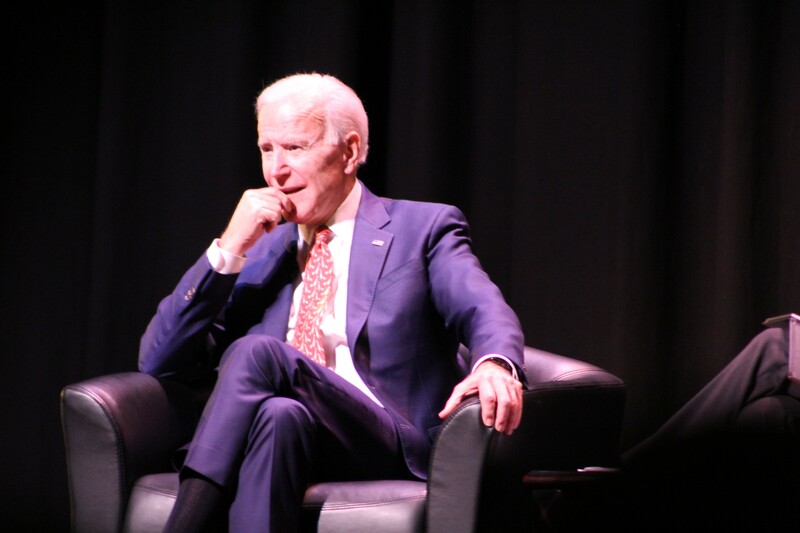 The country’s 47th vice president reflected on his time in office and family history in a moderated discussion Thursday afternoon at the University of Utah. Biden was in Salt Lake City to serve as keynote speaker for the My U Signature Experience (MUSE) Project, a department that hosts events throughout the year that connect students with their fellow Utes, professors and local and national community leaders. Biden’s recently published book, Promise Me, Dad, is the centerpiece of MUSE’s theme this year, “Purpose.” The memoir chronicles Biden’s time during the last year of his son Beau’s life, who died in 2015 after succumbing to a malignant brain tumor. Acknowledging Utah’s red voting record, (“I know you vote the other way,” he said), the veep also expressed admiration for local leaders, like Jon Huntsman Sr. and Jr., praising the former for his cancer institute—which Biden toured in 2016—and Huntsman Jr.’s public service as U.S. ambassador to Russia.